One of my favorite holiday food groups is the Holiday Cheese and Meat Platter. There is nothing better for grazing than a platter piled high with various meats, cheeses, dipping mustard, and carbohydrate based carriers for piling on your protein and dairy of choice. I like to kick this tradition up a notch by cold smoking our cheese. This past weekend, I took advantage of the cold weather to smoke some of our favorites: Gouda, Jarlsberg, Mozzarella, and Sharp White Cheddar. 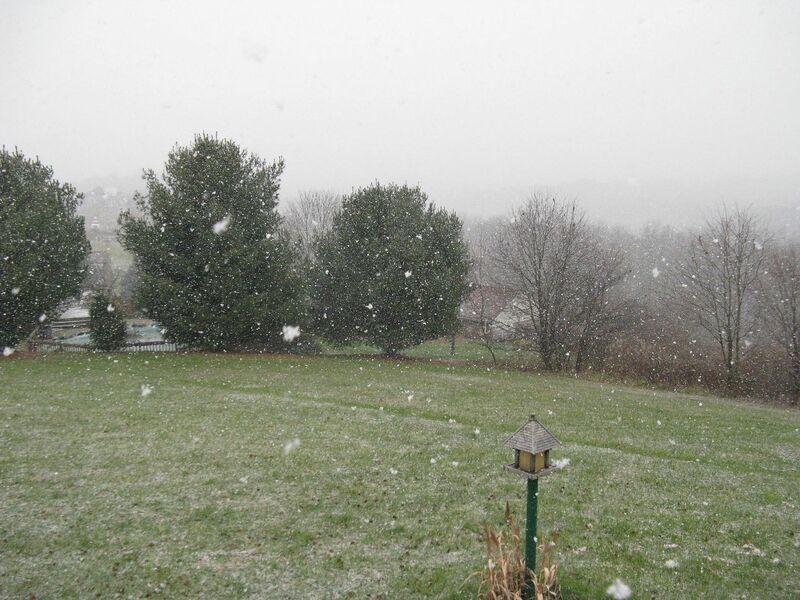 It was a cold a blustery day packed full of lake snow squalls. 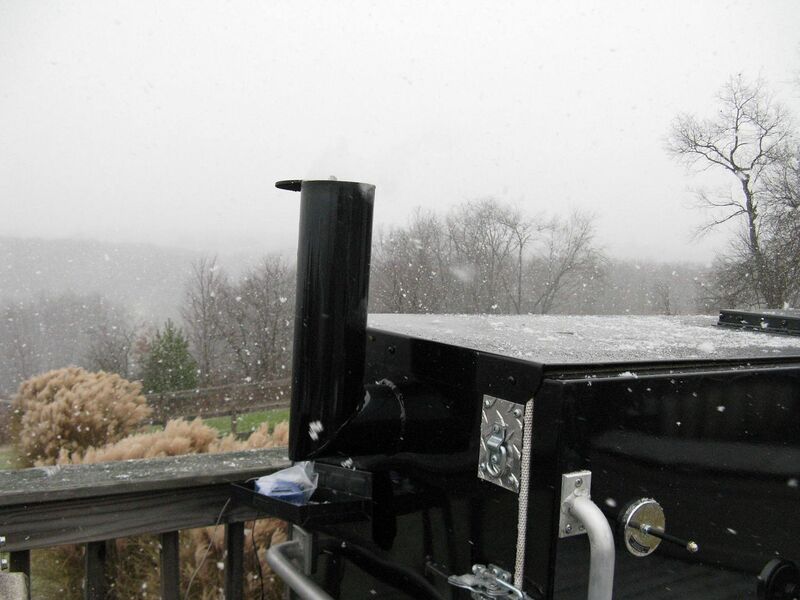 Perfect for keeping your smoker at low temperatures. 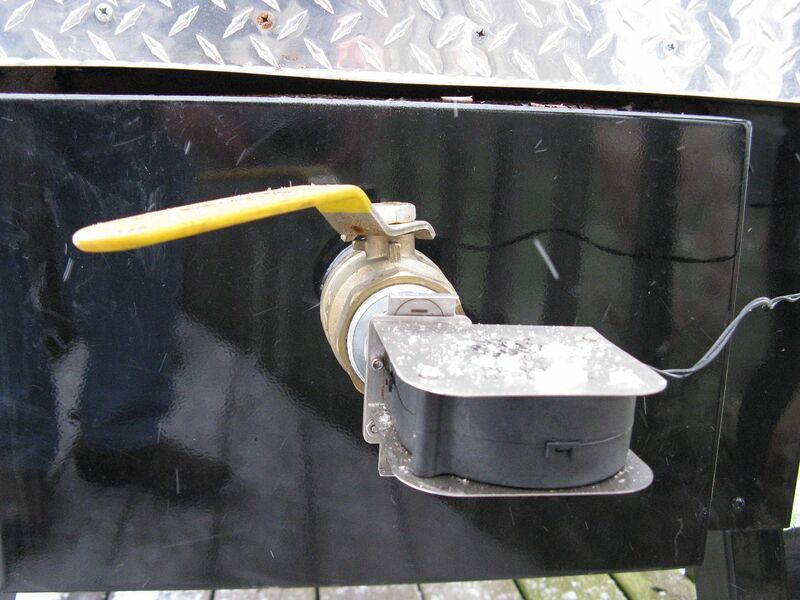 Keeping your smoker at 100 F or less can be tricky. For some smokers, this is a good alternative. 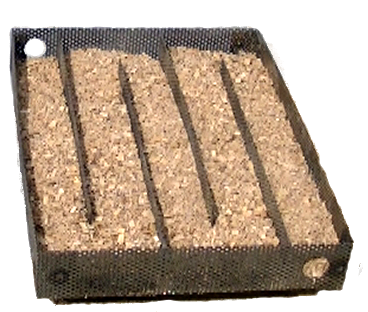 It is a maze in which you add finely ground wood chips. Once you have one end lit, it smolders nice and slow, flavoring your cheese with your wood smoke of choice. Since I have a gravity fed Stumps, I rely on cold temps and choking off the air flow. Here is how I prepare my Stretch for a cold smoke. 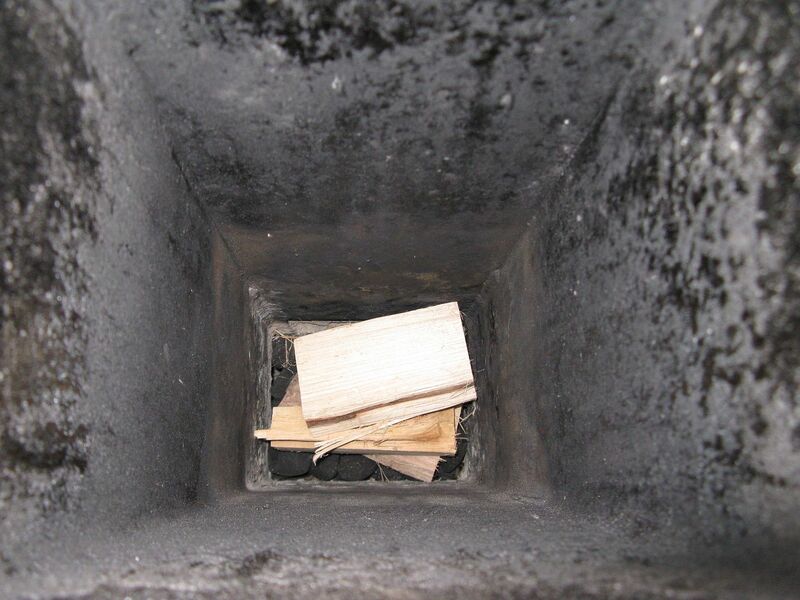 First, I placed a layer of Stubbs briquettes on top of my charcoal grate. On top of that I placed four hickory splits, then I covered that with another layer of briquettes. Then, I shoved a starter cube up into the grate and set up my BBQ Guru. Once I had everything buttoned up, I lit my starter cube and waited. To keep the temps at 100 F, I set the choke on the Pit Viper draft fan to the last notch and closed the ball valve till it was 3/4 closed. 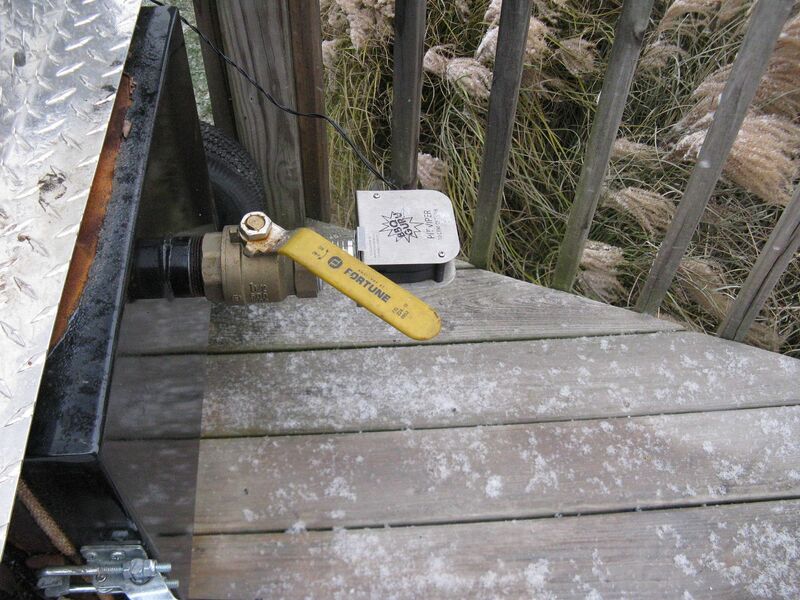 Finally, I placed the pit thermometer on the bottom right of the smoker, right where the heat enters the cook chamber. This will help keep the inside of the smoker below 100 F.
While I waited on the temperature to equalize, I went inside and prepared my cheese. You don't need to get the best cheese around, but you shouldn't get cheap stuff either. We just bought the standard size hunks that you can purchase at Costco. 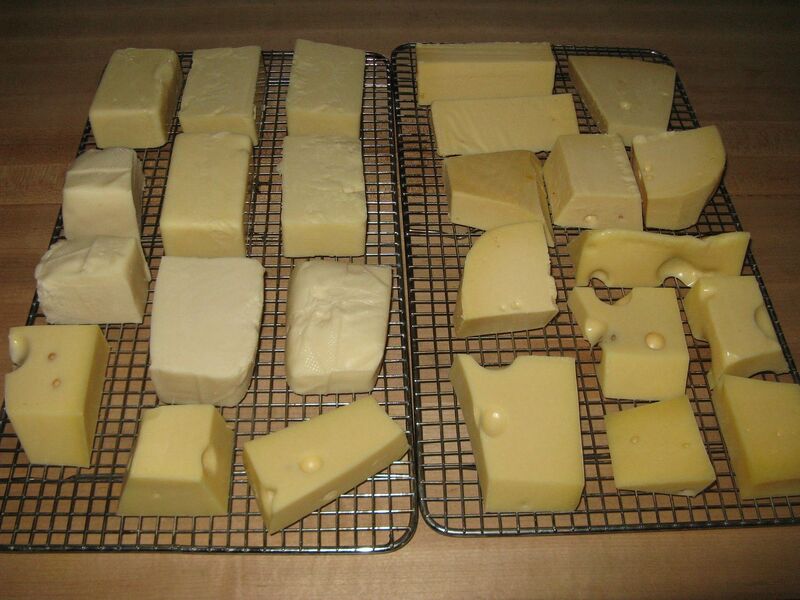 I removed the wax from the Jarlsberg and Gouda, then cut them all into smaller pieces. You also want to let the cheese warm up to room temperature so that is more receptive to receiving smoke. Finally, you do want to put the cheese on some clean racks so that you do not get the greasy mojo from the inside of the smoker on your cheese. Once ready, I placed the cheese on the top rack of the Stretch, and closed it up. I allowed the cheese to smoke for two hours, making sure that the temperature stays below 100 F.
After two hours, I brought the cheese inside and let it cool back to room temperature, about one hour. Once cooled, I placed the cheese in plastic bags and placed in the refrigerator to cool over night. The next day, we vacuum packed in individual packages for long term storage. 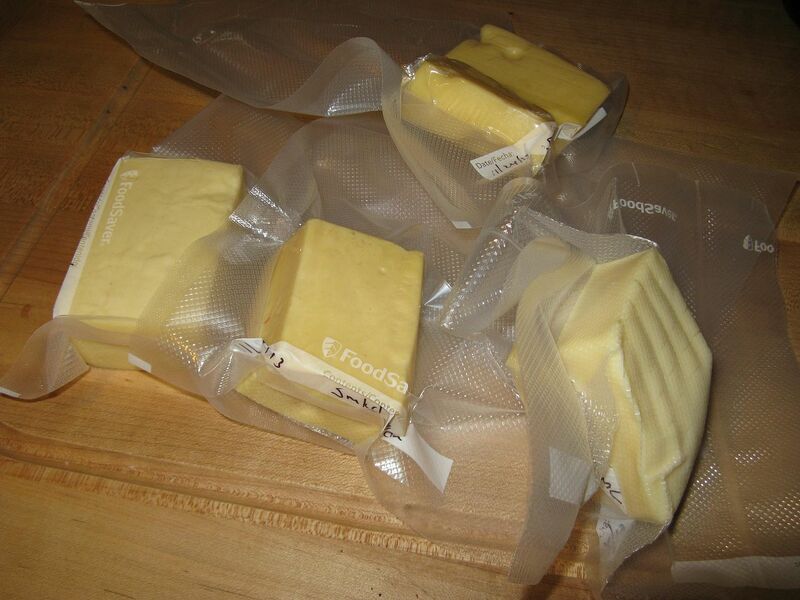 Properly vacuum packed cheese will keep for at least six months in your refrigerator. 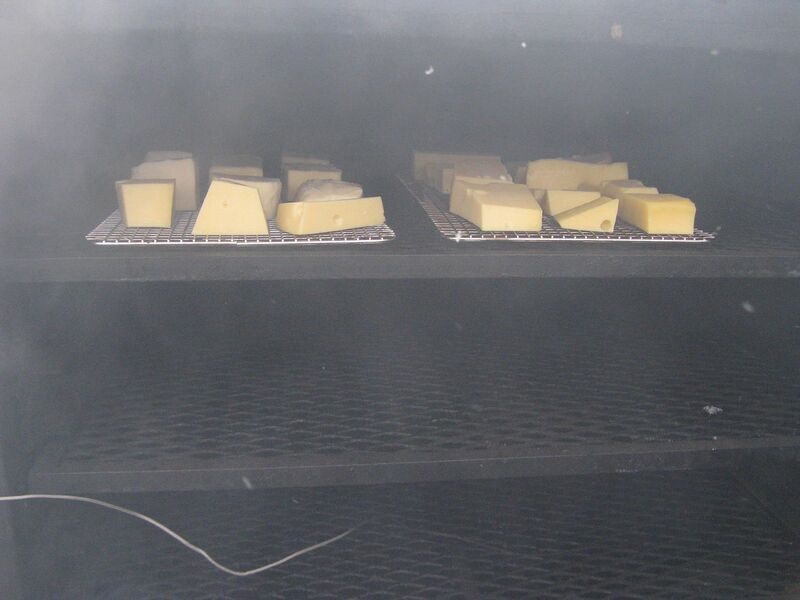 You can eat the cheese the day you make it, but the smoker flavor can be harsh. But, if you let it sit in the refrigerator, the flavor mellows over time. The longer you let the cheese sit, the more subtle the flavor becomes. I recommend a minimum age time of one week. When ready, cut into bite sized chunks and serve with your sausage and dipping mustard of choice. Enjoy! Smoked Gouda is one of my favorites. I have not done much cold smoking, yet. You ever throw some nuts in the mix?. How about salt? Chilebrown, as a matter of fact, I have done salt and nuts. I will be posting that later. They make great Christmas gifts. Happy Turkey Day to you. Bird is going on the Weber in an hour.